Troubled Boys that have academic problems sometimes need a residential treatment center like Liahona Academy. We are a residential treatment center that helps troubled boys overcome their issues and help them recover and heal. We believe that a majority of problems associated with "troubled boys" is found in academic problems. Meaning, the academic issues is the foundation that starts all other assoicated problems. Liahona Academy helps troubled boys that struggle with addictions, behavioral issues, emotional issues, academic problems, and family issues. Our academic program is one of the most outstanding programs available anywhere. Finding the suitable help for your troubled teen becomes difficult when parents don't know what to look for when determining if their teen is troubled. If we sound like the program that you have been looking for your troubled boy call us at 1-800-675-8101. Here are some of the issues that Liahona Academy specializes in with troubled teens: drug abuse, ADD/ ADHD, problems in school, defiant, disrespectful, negative peer association, teen depression, behavioral problems, anger issues, and threats of suicide. On most occasions troubled boys start having academic problems because of personal issues with a teacher or another student, peer pressure to act a certain way, problems at home, or lack of motivation. Bad sleeping habits, stress, and poor self-esteem also affect troubled boys that are having academic problems. Parents become concerned with their troubled boys when they begin to act out, especially when they are usually well behaved. Liahona Academy can help bring your once kind and well behaved son back. When troubled boys have academic problems it can lead up to them acting out in ways from not doing homework to vandalizing their school. Troubled boys also can loose credits or get off track from sleeping in class or skipping class. Parents are sometimes not as aware of the problems troubled boys are facing at school, and sometimes troubled boys just need the help or a little push to get on track again. 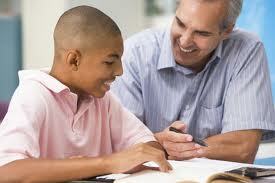 We offer a great academics program that can help get troubled boys back on track and caught up with their academics. Our goal at Liahona Academy is to give our students a secure, caring, structured environment dedicated to helping troubled boys get on the right track with their lives. We support and encourage troubled boys to make changes for themselves internally. Our certified staff cares about the success of our students.